This creamy chickpea salad has the same texture as an egg salad. It can be used to create a very nutritious sandwich or eaten as a side salad. I like to eat in lettuce boats. I garnished the salad with hemp heart toppers, it’s a hemp seed mix. It comes in different seasonings and is great for topping salads and soups. There is a sweet version too that is good on fruit yogurt or oatmeal. For this salad I used the chipotle onion and garlic variety. In a large bowl mash the chickpeas with a potato masher until flaky. Mix all the vegetable ingredients together with the chickpeas. In another bowl mash the avocado with the back of a fork and mix until creamy. Add the Dijon mustard and mix together. 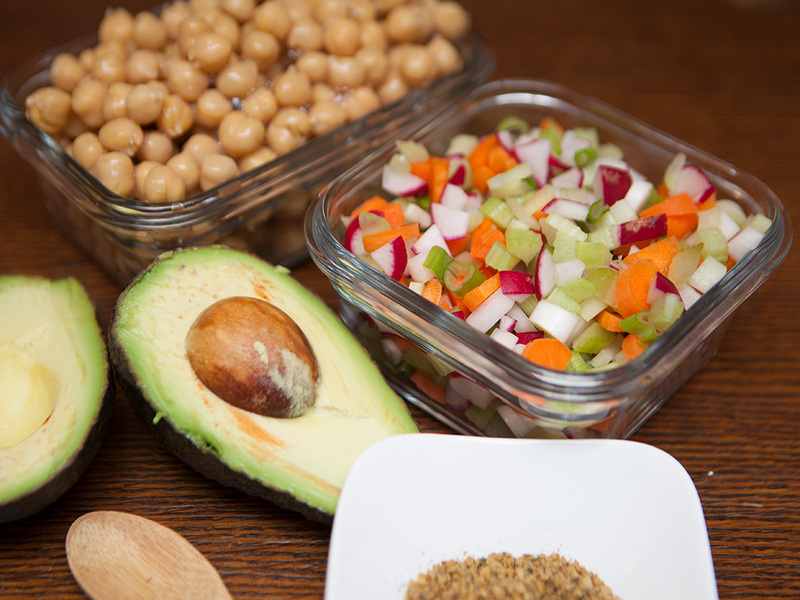 Add the avocado mixture to the chickpea and vegetable bowl. 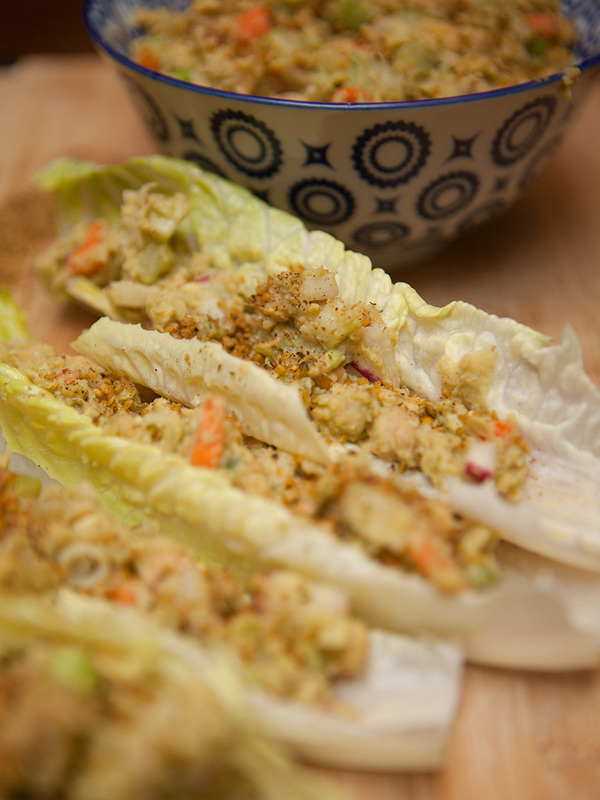 Mix together so that you have a creamy chickpea salad. Top with the hemp heart toppers.